Star Wars is an American Anakin Skywalker and his son Luke. The first film in the series, Star Wars (later subtitled Episode IV: A New Hope), was released on May 25, 1977 by 20th Century Fox and became a worldwide pop culture phenomenon. It was followed by two sequels, The Empire Strikes Back (1980) and Return of the Jedi (1983); these three films constitute the Star Wars original trilogy, and received positive reviews. A prequel trilogy was released between 1999 and 2005 and received a mixed reaction from critics and fans. All six films were nominated for or won Academy Awards, and were commercial successes, with a combined box office revenue of $4.38 billion, making Star Wars the fifth-highest-grossing film series. The series has spawned an extensive media franchise—the Expanded Universe—including books, television series, computer and video games, and comic books, resulting in significant development of the series's fictional universe. 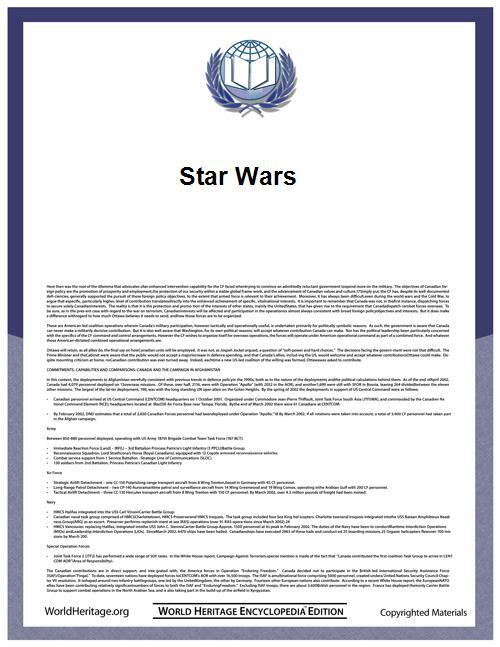 Star Wars also holds a Guinness World Records title for the "Most successful film merchandising franchise." In 2012, the total value of the Star Wars franchise was estimated at USD $30.7 billion (£19.51 billion), including box-office receipts as well as profits from their video games and DVD sales. The events depicted in Star Wars media take place in a Galactic Empire. In 1997, to correspond with the 20th anniversary of the original film, Lucas released a "Special Edition" of the Star Wars trilogy to theaters. The re-release featured alterations to the three films, primarily motivated by the improvement of CGI and other special effects technologies, which allowed visuals that were not possible to achieve at the time of the original filmmaking. Lucas continued to make changes to the films for subsequent releases, such as the first ever DVD release of the original trilogy on September 21, 2004, and the first ever Blu-ray release of all six films on September 16, 2011. Reception of the Special Edition was mixed, prompting petitions and fan edits to produce restored copies of the original trilogy. More than two decades after the release of the original film, the series continued with a prequel trilogy; consisting of Episode I: The Phantom Menace, released on May 19, 1999; Episode II: Attack of the Clones, released on May 16, 2002; and Episode III: Revenge of the Sith, released on May 19, 2005. On August 15, 2008, Star Wars: The Clone Wars was released theatrically as a lead-in to the animated TV series of the same name. Star Wars: The Force Awakens is scheduled for release on December 18, 2015. A street performer in costume as Darth Vader in Amsterdam. Vader is one of the most iconic characters of the Star Wars franchise. The original trilogy begins with the Emperor Palpatine's tyranny. Palpatine's Sith apprentice Darth Vader captures Princess Leia, a member of the rebellion who has stolen the plans to the Death Star and hidden them in the astromech droid R2-D2. R2, along with his protocol droid counterpart C-3PO, escapes to the desert planet Tatooine. There, the droids are purchased by farm boy Luke Skywalker and his step-uncle and aunt. While Luke is cleaning R2, he accidentally triggers a message put into the droid by Leia, who asks for assistance from the legendary Jedi Knight Obi-Wan Kenobi. Luke later assists the droids in finding the exiled Jedi, who is now passing as an old hermit under the alias Ben Kenobi. When Luke asks about his father, whom he has never met, Obi-Wan tells him that Anakin Skywalker was a great Jedi who was betrayed and murdered by Vader. Obi-Wan and Luke hire the smuggler Han Solo and his Wookiee co-pilot Chewbacca to take them to Alderaan, Leia's home world, which they eventually find has been destroyed by the Death Star. Once on board the space station, Luke and Han rescue Leia while Obi-Wan allows himself to be killed during a lightsaber duel with Vader; his sacrifice allows the group to escape with the plans that help the Rebels destroy the Death Star. Luke himself (guided by the power of the Force) fires the shot that destroys the deadly space station during the Battle of Yavin. Three years later, Luke travels to find the Jedi Master Yoda, now living in exile on the swamp-infested world of Dagobah, to begin his Jedi training. However, Luke's training is interrupted when Vader lures him into a trap by capturing Han and his friends at Cloud City. During a fierce lightsaber duel, Vader reveals that he is Luke's father and attempts to turn him to the dark side of the Force. Luke escapes and, after rescuing Han from the gangster Jabba the Hutt, returns to Yoda to complete his training; only to find the 900-year-old Jedi Master on his deathbed. Before he dies, Yoda confirms that Vader is Luke's father. Moments later, the Force ghost of Obi-Wan tells Luke that he must confront his father once again before he can become a Jedi, and that Leia is his twin sister. While Palpatine re-organizes the Republic into the tyrannical Empire, Vader participates in the extermination of the Jedi Order, culminating in a lightsaber duel between himself and Obi-Wan on the volcanic planet Mustafar. Obi-Wan defeats his former apprentice and friend, severing his limbs and leaving him to burn to death on the shores of a lava flow. Palpatine arrives shortly afterward and saves Vader by placing him into a mechanical black mask and suit of armor that serves as a permanent life support system. At the same time, Padmé dies while giving birth to twins Luke and Leia. Obi-Wan and Yoda, now the only remaining Jedi alive, agree to separate the twins and keep them hidden from both Vader and the Emperor; until the time comes when Anakin's children can be used to help overthrow the Empire. 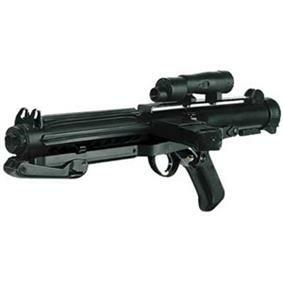 Star Wars contains many themes of political science that mainly favor democracy over dictatorship. Political science has been an important element of Star Wars since the franchise first launched in 1977. The plot climax of Star Wars is modeled after the fall of the democratic Roman Republic and the formation of an empire. Star Wars also reflects on the events in America following the September 11 attacks. Some have drawn similarities between the rise in authoritarianism from around the beginning of Clone Wars until the end of the Old Republic and the United States government's actions after 9/11, specifically passage of the Patriot Act in 2001. Lucas hired Ben Burtt to oversee the sound effects on the original 1977 film. Burtt's accomplishment was such that the Academy of Motion Picture Arts and Sciences presented him with a Special Achievement Award because it had no award at the time for the work he had done. Lucasfilm developed the THX sound reproduction standard for Return of the Jedi. 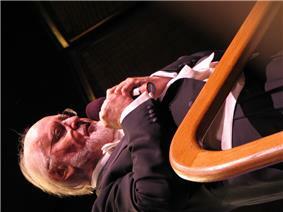 John Williams composed the scores for all six films. Lucas' design for Star Wars involved a grand musical sound, with leitmotifs for different characters and important concepts. Williams' Star Wars title theme has become one of the most famous and well-known musical compositions in modern music history. This new story point of Darth Vader being Luke's father had drastic effects on the series. Michael Kaminski argues in his book that it is unlikely that the plot point had ever seriously been considered or even conceived of before 1978, and that the first film was clearly operating under an alternate storyline where Vader was separate from Luke's father; there is not a single reference to this plot point before 1978. After writing the second and third drafts of Empire Strikes Back in which the point was introduced, Lucas reviewed the new backstory he had created: Anakin Skywalker was Ben Kenobi's brilliant student and had a child named Luke, but was swayed to the dark side by Emperor Palpatine (who became a Sith and not simply a politician). Anakin battled Ben Kenobi on the site of a volcano and was wounded, but then resurrected as Darth Vader. Meanwhile, Kenobi hid Luke on Tatooine while the Republic became the Empire and Vader systematically hunted down and killed the Jedi. After losing much of his fortune in a divorce settlement in 1987, Lucas had no desire to return to Star Wars, and had unofficially canceled the sequel trilogy by the time of Return of the Jedi. Nevertheless, the prequels, which were only still a series of basic ideas partially pulled from his original drafts of "The Star Wars", continued to fascinate him with the possibilities of technical advances would make it possible to revisit his 20-year-old material. After Star Wars became popular once again, in the wake of Dark Horse's comic book line and Timothy Zahn's trilogy of novels, Lucas saw that there was still a large audience. His children were older, and with the explosion of CGI technology he was now considering returning to directing. By 1993, it was announced, in Variety among other sources, that he would be making the prequels. He began penning more to the story, now indicating the series would be a tragic one examining Anakin Skywalker's fall to the dark side. Lucas also began to change how the prequels would exist relative to the originals; at first they were supposed to be a "filling-in" of history tangential to the originals, but now he saw that they could form the beginning of one long story that started with Anakin's childhood and ended with his death. This was the final step towards turning the film series into a "Saga". In 1994, Lucas began writing the screenplay to the first prequel, titled Episode I: The Beginning. Following the release of that film, Lucas announced that he would also be directing the next two, and began work on Episode II, The first draft of Episode II was completed just weeks before principal photography, and Lucas hired Jonathan Hales, a writer from The Young Indiana Jones Chronicles, to polish it. Unsure of a title, Lucas had jokingly called the film "Jar Jar's Great Adventure." In writing The Empire Strikes Back, Lucas initially decided that Lando Calrissian was a clone and came from a planet of clones which caused the "Clone Wars" mentioned by Princess Leia in A New Hope; he later came up with an alternate concept of an army of clone shocktroopers from a remote planet which attacked the Republic and were repelled by the Jedi. The basic elements of that backstory became the plot basis for Episode II, with the new wrinkle added that Palpatine secretly orchestrated the crisis. ^ Adjusting for inflation is complicated by the fact that the first four films have had multiple releases in different years, so their earnings cannot be simply adjusted by the initial year of release. Inflation adjusted figures for 2005 can be found in Adjustment to constant dollars is undertaken in conjunction with the United States Consumer Price Index provided by the Federal Reserve Bank of Minneapolis, using 2005 as the base year. ^ Kaminski 2007, p. 50. ^ Rinzler 2007, p. 107. ^ Kaminski 2007, p. 38. ^ Kaminski 2007, p. 134. ^ Kaminski 2007, p. 142. ^ Kaminski 2007, p. 161. ^ Kaminski 2007, pp. 120–21. ^ Kaminski 2007, pp. 164–65. ^ Kaminski 2007, p. 178. ^ Kaminski 2007, p. 374. ^ Kaminski 2008, p. 158. ^ Kaminski 2008, p. 162. ^ Rinzler 2005, pp. 13–15. ^ Rinzler 2005, p. 36. ^ Kaminski 2007, pp. 380–84. – devoted to Star Wars. During the 2012 Emerald City Comicon in Seattle, Washington, several prominent cartoon voice actors, consisting of Rob Paulsen, Jess Harnell, John DiMaggio, Maurice LaMarche, Tara Strong and Kevin Conroy, performed a parody reading of A New Hope as a radio play in each of their signature voice roles; i.e. Paulsen and Harnell as Yakko and Wakko Warner from Animaniacs, Strong as Bubbles from The Powerpuff Girls and Timmy Turner from The Fairly Oddparents, LaMarche and DiMaggio as Kif Kroker and Bender from Futurama, and Conroy narrating as Batman. Since August 2014, Disney has expressed plans to expand the franchise's presence in all of their theme parks, which is rumored to include a major Star Wars-themed expansion to Disney's Hollywood Studios. When asked whether or not Disney has an intellectual property franchise that's comparable to Harry Potter at Universal theme parks, Disney chairman and CEO Bob Iger mentioned Cars and the Disney Princesses, and promised that Star Wars, "is going to be just that." Iger formally announced a 14-acre Star Wars-themed land expansion at the D23 Expo in August 2015. The land—which will debut at Disneyland and Disney's Hollywood Studios at an unspecified date—will include two new attractions inspired by the Millennium Falcon and "a climactic battle between the First Order and the resistance". 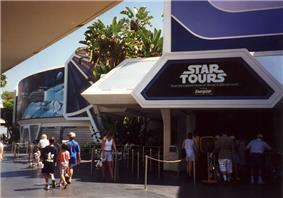 The attractions at Disneyland and Disney's Hollywood Studios closed in 2010 and at Tokyo Disneyland in 2012 to allow the rides to be converted into Star Tours–The Adventures Continue. The successor attraction opened at Disney's Hollywood Studios and Disneyland in 2011, and Tokyo Disneyland in 2013. Star Wars trading cards have been published since the first "blue" series, by Topps, in 1977. Dozens of series have been produced, with Topps being the licensed creator in the United States. Some of the card series are of film stills, while others are original art. Many of the cards have become highly collectible with some very rare "promos", such as the 1993 Galaxy Series II "floating Yoda" P3 card often commanding US$ 1 000 or more. While most "base" or "common card" sets are plentiful, many "insert" or "chase cards" are very rare. From 1995 until 2001, Decipher, Inc. had the license for, created and produced a collectible card game based on Star Wars; the Star Wars Collectible Card Game (also known as SWCCG). Marvel Comics published Star Wars comic book series and adaptations from 1977 to 1986. A wide variety of creators worked on this series, including Roy Thomas, Archie Goodwin, Howard Chaykin, Al Williamson, Carmine Infantino, Gene Day, Walt Simonson, Michael Golden, Chris Claremont, Whilce Portacio, Jo Duffy, and Ron Frenz. The Los Angeles Times Syndicate published a Star Wars newspaper strip by Russ Manning, Goodwin and Williamson with Goodwin writing under a pseudonym. In the late 1980s, Marvel announced it would publish a new Star Wars comic by Tom Veitch and Cam Kennedy. However, in December 1991, Dark Horse Comics acquired the Star Wars license and used it to launch a number of ambitious sequels to the original trilogy instead, including the popular Dark Empire stories. They have since gone on to publish a large number of original adventures set in the Star Wars universe. There have also been parody comics, including Tag and Bink. On January 3, 2014, Marvel Comics—itself a Disney subsidiary since 2009—announced that it would once again publish Star Wars comic books and graphic novels, taking over from Dark Horse, with the first release arriving on January 14, 2015. Star Wars-based fiction predates the release of the first film, with the 1976 novelization of Star Wars (ghost-written by Alan Dean Foster and credited to Lucas). Foster's 1978 novel, Splinter of the Mind's Eye, was the first Expanded Universe work to be released. In addition to filling in the time between the original 1977 film and The Empire Strikes Back, this additional content greatly expanded the Star Wars timeline before and after the film series. Star Wars fiction flourished during the time of the original trilogy (1977–83) but slowed to a trickle afterwards. In 1992, however, Timothy Zahn's Thrawn trilogy debuted, sparking a new interest in the Star Wars universe. Since then, several hundred tie-in novels have been published by Bantam and Del Rey. A similar resurgence in the Expanded Universe occurred in 1996 with the Steve Perry novel Shadows of the Empire, set in between The Empire Strikes Back and Return of the Jedi, and accompanying video game and comic book series. Star Wars: The Clone Wars, a CGI-animated series based on the animated film of the same name, which aired on Cartoon Network from October 2008 to March 2013. The final season of the series aired on Netflix in March 2014. Star Wars Detours, an animated comedy series written by Brendan Hay, who is a writer for the comedy news program The Daily Show, and with creative consulting from the co-creators of Robot Chicken: Seth Green and Matthew Senreich. The series will take place during the original trilogy and the setting will be remote from the front line of war. Following the Disney purchase, this series was put on indefinite hold. Lucas has played a large role in the production of various television projects, usually serving as storywriter or executive producer. Star Wars has had numerous radio adaptations. A radio adaptation of the original 1977 film was first broadcast on National Public Radio in 1981. The adaptation was written by science fiction author Brian Daley and directed by John Madden. It was followed by adaptations of The Empire Strikes Back in 1983 and Return of the Jedi in 1996. The adaptations included background material created by Lucas but not used in the films. Mark Hamill, Anthony Daniels, and Billy Dee Williams reprised their roles as Luke Skywalker, C-3PO, and Lando Calrissian, respectively, except in Return of the Jedi in which Luke was played by Joshua Fardon and Lando by Arye Gross. The series also used John Williams' original score from the films and Ben Burtt's original sound designs. In June 2014, Chronicle director Josh Trank was announced as the director of the second Anthology feature. On May 1, 2015, Lucasfilm and Trank jointly announced that he was no longer directing the film. 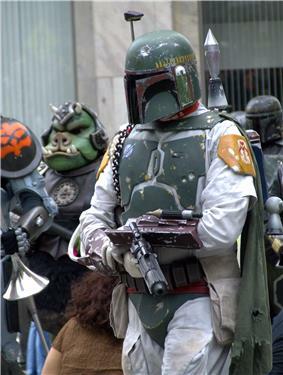 On May 4, 2015, it was confirmed that the film would surround the origins of Boba Fett, a bounty hunter in the original trilogy. On July 7, 2015, Lucasfilm announced, via StarWars.com, that a second Anthology film, which "focuses on how young Han Solo became the smuggler, thief, and scoundrel whom Luke Skywalker and Obi-Wan Kenobi first encountered in the cantina at Mos Eisley", would be released on May 25, 2018. The project will be directed by Phil Lord and Christopher Miller from a script by Lawrence and Jon Kasdan. Kathleen Kennedy will produce the film, Lawrence Kasdan and Jason McGatlin will executive produce, and Will Allegra will co-produce. The Hollywood Reporter stated when reporting the story, that the film is separate to the film that was originally being developed by Josh Trank. That film has now been pushed back to an unconfirmed date. In May 2014, Lucasfilm announced that Gareth Edwards would direct the first anthology film, to be released on December 16, 2016, with Gary Whitta writing the first draft. On March 12, 2015, the film's title was revealed to be Rogue One with Chris Weitz rewriting the script, with Felicity Jones, Ben Mendelsohn and Diego Luna starring. On April 19, 2015, a teaser trailer was shown exclusively during the closing of the Star Wars Celebration. Lucasfilm also announced that filming would begin in the summer of 2015. The plot will revolve around a group of rebels on a mission to steal the Death Star plans; director Edwards stated, "It comes down to a group of individuals who don't have magical powers that have to somehow bring hope to the galaxy." Additionally, Kathleen Kennedy and Kiri Hart confirmed that the stand-alone films will be labeled as "anthology films". Edwards stated that the style of the film will be similar to that of a war film, stating, "It's the reality of war. Good guys are bad. Bad guys are good. It's complicated, layered; a very rich scenario in which to set a movie." On February 5, 2013, Disney CEO  In April 2015, Lucasfilm and Kathleen Kennedy announced that the stand-alone films would be referred to as the Star Wars Anthology series. On March 12, 2015, Lucasfilm announced that Looper director Rian Johnson would direct Episode VIII with Ram Bergman as producer for Ram Bergman Productions. Reports initially claimed Johnson would also direct Episode IX, but it was later confirmed he would write only a story treatment. When asked about Episode VIII in an August 2014 interview, Johnson said "it's boring to talk about, because the only thing I can really say is, I'm just happy. I don't have the terror I kind of expected I would, at least not yet. I'm sure I will at some point." It is scheduled to be released on May 26, 2017. J. J. Abrams will serve as executive producer.